We’ve listed the most important things to know before going to Cuba and getting your budget backpacking on. It’s short, it’s easy, and it’s good to know! 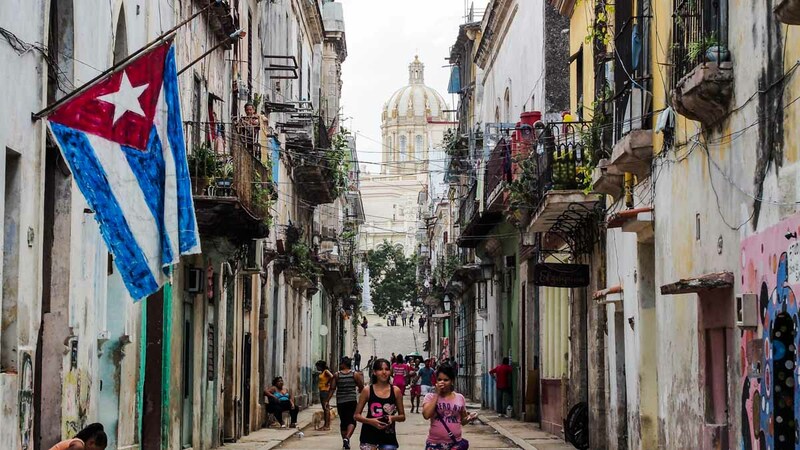 We’re not going to lie – backpacking in Cuba is pretty rad. It’s a truly unique country that, for the time being, offers travel experiences you won’t find anywhere else in the world. Whether you’re after a mojito on the beach or some fascinating history, Cuba has enough of the good stuff to keep you busy for a while. But while this is all very lovely, backpacking in Cuba is not all happy smiles and Caribbean bliss. There’s definitely a few challenges related to visiting a country that’s only slowly emerging from a 60-year slumber. If you’re planning on backpacking in Cuba, you’ll find all the information you need in our Ultimate Cuba Backpacking Guide. And if you’re curious about what things you should know about Cuba before you go, just keep reading, amigo. If you don’t speak a word of Spanish, you’re going to hear that question a lot. English is still not widespread, especially not among older Cubans, so you’ll be facing a substantial language barrier. The easy solution here is to teach yourself a few basic phrases in Spanish. 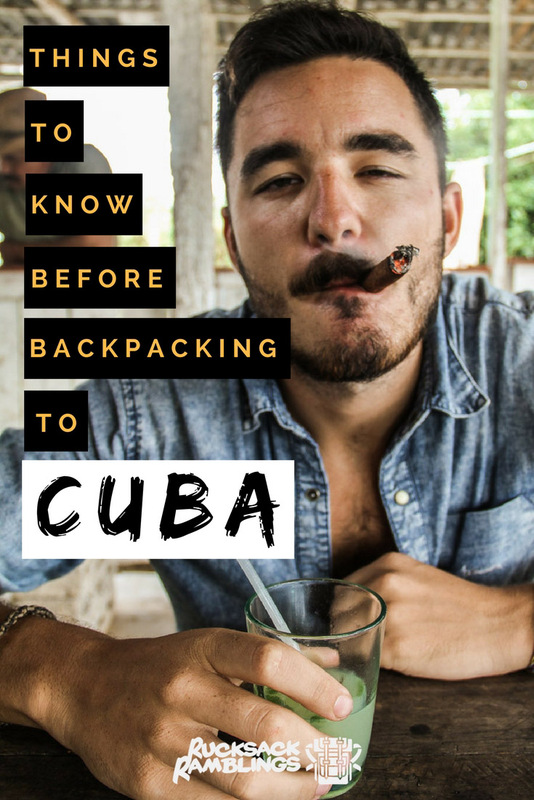 It won’t take long and it can make life a little easier when backpacking in Cuba. And don’t worry – Cubans don’t bite. Smile, take it easy and do your best. You’ll get some brownie points and the Cubans won’t think you’re a completely useless gringo. Forget everything abut updating your Instagram or Skyping with your mum when backpacking in Cuba. Until mid-2015, the only place you could get Wi-Fi in Cuba was in fancy-schmancy resorts and hotels. 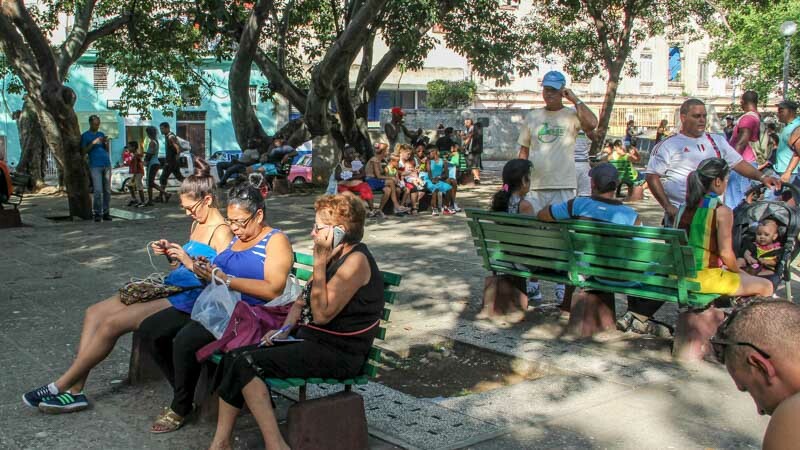 Things are slowly starting to change and nowadays you can get Wi-Fi in most main squares in Havana. That’s the good news. The bad news is it’s not a handy hotspot kind of thing you just hook up to. To use the Cuban Wi-Fi, you have to buy a one-hour Wi-Fi card at the ETECSA office which is the national phone company. The demand for those bad boys is sky high, so don’t get your hopes up. And if you do manage to go on a day where they actually have cards, you might want to stock up while you can. The price is 2.5 CUC for an hour and there’s no guarantee of speed or strength. In other words, prepare for an internet detox. This one might be directly related to the lack of internet, but Cuban street life is the best. No matter whether you’re in a big city or a small town, you’ll find locals hanging out in the streets. There’s normally not anything particular going on in the streets for the locals to do – they just like standing around. As an independent backpacker, that’s pretty rad. It’s so easy to experience the local culture and, if your Spanish is half-decent, perhaps even make some local friends. Every alley is full of life, noise, running kids, chitchatting women, sweet salsa tunes, promenading men, everything. Everywhere you go, you find open doors and people sitting on doorsteps, just watching life go by. Make sure you set aside time to just stroll around and soak up the atmosphere. In Cuba, it’s definitely worth it! The only downside to Cuban street life is Cuban street food. But to be fair, that’s a massive downside. 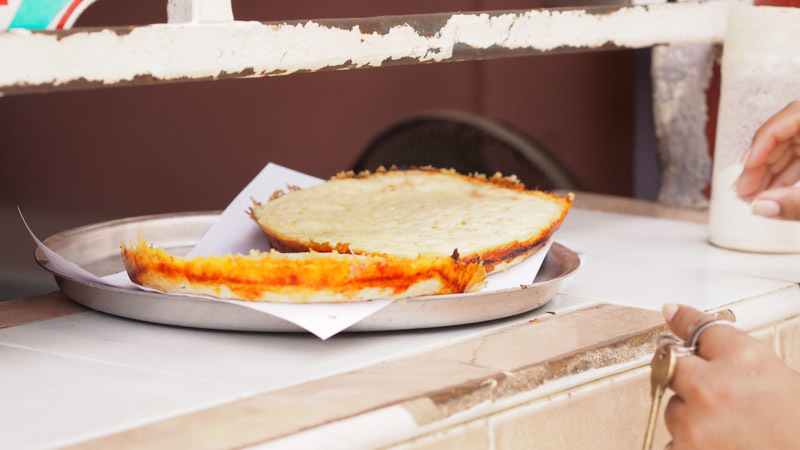 Cuban street food is notoriously woeful and it’ll take you just about two minutes to understand why. Everything you can get is dough in different variations paired with tomato paste, ham, and cheese. That’s literally it. You’ll find different combinations, like a chewy ham-and-cheese pizza or a croquette, but you’ll never escape the dough hell. It’s a shame because Cuban cuisine does have a lot to offer, but with the limited ingredients available, things are not exactly honky dory street-food-wise. Do yourself a favour and pack some of your favourite snacks from home. When you can’t physically eat one more street food meal, bring out your snacks, and life will seem worth living again. Trust us – you’ll treasure those TimTams like never before. Bad luck if you meet Mr. Universe and he happens to be wearing a Cuban police uniform. As the case tends to be in countries with less-than-cooperative governments, there’s a photo ban on police, military, and airport employees. The good old spying days may be (mostly) over, but it’s a good idea to stay out of unnecessary trouble. If you get caught you won’t be thrown in a jail cell, but you will also not get a high-five. One of the trickiest things to understand about backpacking in Cuba is how the Cuban money works. We’ve written much more about the different currencies in our Ultimate Cuba Backpacking Guide (link), but here’s the lowdown: bring cash. In some cities, it is possible to withdraw money from ATMs as long as you’re not using an American bank card. Here and there, you might also come across a company or restaurant that accepts credit cards. But in the big picture, you definitely need to bring enough cash to last your entire trip (or at least close to that). Keep in mind that not all currencies are accepted in exchange offices in Cuba. In fact, your safest bet is to only bring euros, British pounds, or Mexican pesos. US dollars are accepted, but you’ll get a crappy rate and will have to pay a fee on top. And, as all budget backpackers know, there are more fun ways to spend your hard-earned money than getting swindled at the exchange office. Yeah, we know, forcing a country to stay stuck in time for 6o years isn’t the nicest thing a president can do. But while we do agree, you might want to keep that opinion to yourself when backpacking in Cuba. The thing is that Cuba truly is a different world. Cubans didn’t grow up in a society where government criticism was part of the game. For decades, the Cuban people have not had unrestricted access to international media. And although things are definitely changing, there are some underlying social mechanisms that will take a while to loosen up. That’s why, to this day, many Cubans don’t necessarily despise Fidel Castro. From a Cuban perspective, there hasn’t really been much public questioning because it simply wasn’t tolerated for a long time. So, to avoid awkward silences, you’re best off steering clear of sharing your political views on communism, Fidel Castro, and the Cuban revolution. If you’re backpacking in Cuba on your own, you might want to bring a good book. 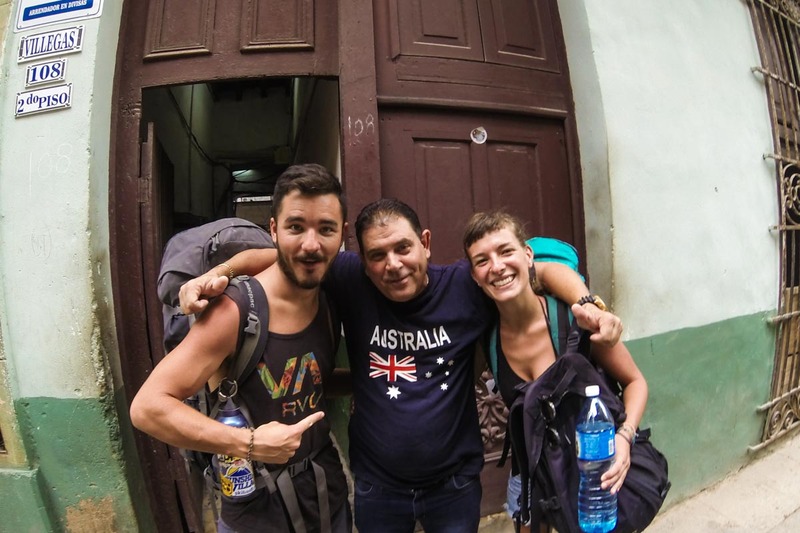 There isn’t really a hostel scene in Cuba YET and solo backpackers will often find it hard to meet fellow travellers. In casas particulares, which are the most common budget accommodation in Cuba, you pay for an entire room. That means you get the whole thing for yourself, even if there are three beds and you’ll only use one. The best way to work around this is to team up with some lovely little fellow travellers. You can meet them while wandering around the city, on a bus, or while crying over the street food in a dark alley. Just make sure you put people skills on your packing list because, in Cuba, there’s no pub crawl to make friends on. As absolutely unique and awesome as Cuba is, it can also get pretty frustrating. 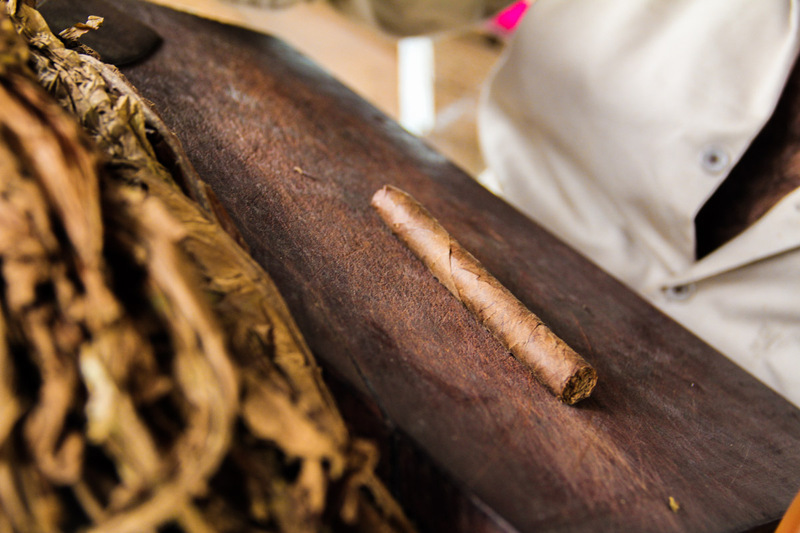 The thing is that what makes Cuba unique is also what’s going to challenge your patience. The empty stores, the outdated infrastructure, the lack of internet, the terrible food, it’s all going to get to you at some point. You’ll eventually start to feel this hopelessness in the air. It’s the product of being stuck in a time machine for 60 years and it’s, not surprisingly, pretty depressing. There’s not much you can do to minimise this frustration. Sip on a mojito, watch a stunning Caribbean sunset, listen to some salsa, whatever works for you. In the end, both the good and the bad stuff are part of the experience when backpacking in Cuba. And with those wise words, we’ll round off this little post about things to know before going to Cuba. It’s a pretty rad corner of the planet just waiting to be explored, so make sure you read all our Cuba stuff and start packing! What was your experience backpacking in Cuba? Do you have any cool tips for Cuba? Or do you just want to say hola? Drop us a line – we love making new friends! Thanks for this honest article, it’s good to hear the downsides of visiting a place as much as the upsides. I hope to get to Cuba sooner rather than later and experience all of this for myself! Im glad you found our article useful and appreciated our honesty. The first step to getting there is dreaming about going there!